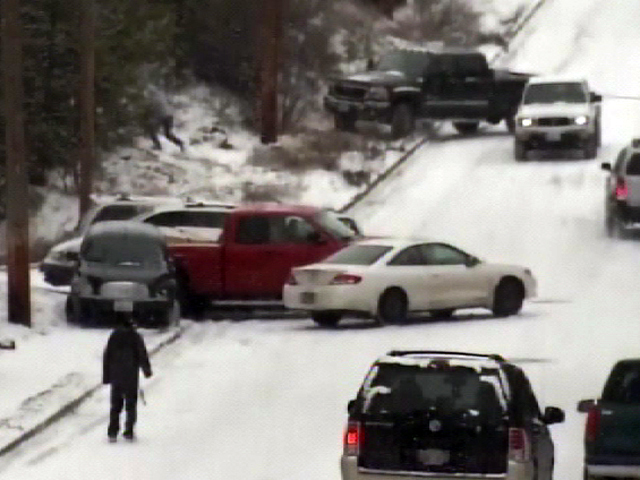 Icy roads in Spokane, Washington caused quite the show as cars were caught on tape sliding downhill and smashing into each other. The pile-up lasted for several hours but no reports of serious injury, just serious damage. A double implosion in Sugar Land, Texas failed. One building would not come down despite multiple implosion attempts. About an hour later, the building surprised everyone by just toppling over. Actress Anne Hathaway made the children at New York City's famed PS 22 school choir scream after surprising them with an invitation to sing at the Academy Awards in L.A. The choir is famous for their YouTube renditions of popular songs. Seven lion cubs born at the National Zoo in Washington D.C. this year made their debut. They are the first lion cubs at the zoo in more than 20 years. A secret Santa in Joplin, Montana dropped $100 thousand into a Salvation Army collection kettle outside a Walgreens. The amount came in the form of five checks wrapped in a dollar bill to conceal the donor's identity. It is estimated the same secret Santa has donated more than $450 thousand over the last seven years.